It’s only been four days since Sunrisers Hyderabad’s first ever win against Kolkata Knight Riders at the Eden Gardens, but so much has transpired subsequently that it almost seems like a lifetime. For Sunrisers to translate their home form into results away from Uppal was crucial, and I was proud of the way we went about our task against a strong team that are even more formidable in their own backyard. Once again, it was the bowlers who set the tone, after which the calm and intelligent Kane Williamson masterminded the chase. 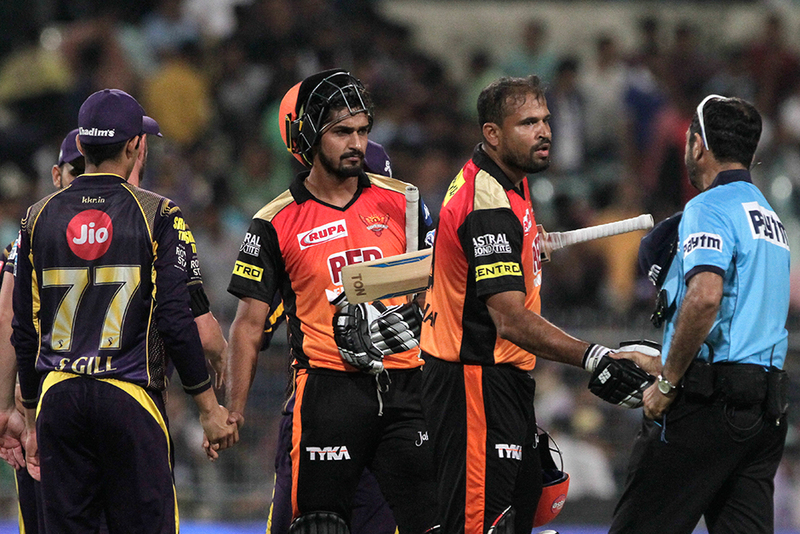 When things got a little tricky towards the end, we could fall back on the experience and familiarity with the conditions of Shakib and Yusuf Pathan, both formerly of KKR. Manish Pandey has had a quiet time with the bat, but he reiterated his value with two spectacular catches. Not only at Sunrisers but across franchises, there is tremendous emphasis on fielding and catching. Within teams, players compete with each other in setting standards, and it is no accident that India are one of the best fielding sides in world cricket. Next up for us, on Thursday, are Kings XI Punjab, in their own Mohali den. They have already showed what a balanced team they are, and while we are brimful of confidence after three straight wins, we know we will be in for a scrap. Punjab gave Chris Gayle his first game of the season in their last encounter against Chennai Super Kings, and what an innings the big man played. In fact, that match produced two glorious knocks, MS making light of a back injury to nearly nudge his team over the line. Each time one of these legends fires, it is a masterclass for the youngsters in the changing room and those watching on TV. There is so much to learn from and admire about the way they go about their jobs. The batting stars of the tournament thus far have been proven IPL performers — Gayle, MS, Sanju Samson, Andre Russell, Shikhar, Rohit, AB and Virat. The newcomers, especially from overseas, have found the going slightly difficult on unfamiliar pitches, but I am sure it is only a matter of time before they find their bearing. So many sixes have been struck this tournament, mainly off fast bowlers, that it is mind-boggling. The margin for error for the quicks is minuscule. By contrast, spinners, and especially wrist-spinners, have had great success, even with short balls. That is not a new trend in T20 cricket; every year, the IPL serves to highlight the importance of wicket-taking wrist-spinners, which is great news for the sport.